The fact of the matter is that almost all women in the U.S. have some kind of mild deficiency when it comes to iodine. And very few people would even give this fact a second thought. Especially since many Americans are living rushed lives, and tend to grab convenience foods that are not very nutritious on the go. Sometimes some are more health conscious and buy nutrition replacement bars for this purpose but plenty don't have the iodine that is needed. However, if they are considering to conceive a baby in the nearer future then they need to pay attention to the fact that lack of or too little iodine in the system can cause infertility. Iodine is a mineral that helps regulate metabolism, and it is found in iodized salt, diary products, seafood, potatoes, eggs, cranberries and sea vegetables such as kelp. Many people are not getting enough of this mineral in their diets. Lack of idodine also causes weight gain or loss, mood changes, hormonal changes, and fatigue. It also disrupts thyroid function. And in a new study conducted on a group of women who were trying to conceive that had moderate-to-severe iodine deficiency were 46 percent less likely to get pregnant during each menstrual cycle than those whose iodine levels were sufficient, and that is a huge drop of odds. The fact of the matter is that women who are trying to get pregnant or thinking about it in the future absolutely need more iodine in their diets. Fertility experts state that in the majority of cases when it comes to fertility, nutrition and conception go hand in hands. Because the Western diet has changed over the last few decades in regards to veganism, vegan diets have led to less iodine being consumed and this is quite harmful to women who have become vegans that want to conceive. Not to mention, iodine from food is not enough for women to consume if they want to get pregnant. They need to take prenatal vitamins that have at least 150 micrograms of iodine. Women who are not trying to get pregnant should also consume a minimum of 150mcg of iodine in their diets, and the amount required jumps while they are pregnant. In fact, once pregnancy is achieved the increased iodine requirements of 220mcg a day must be met in order to help develop the brain and thyroid develop properly. And breastfeeding women need to consume at least 290mcg a day in order to support themselves and their developing infants. The study as not meant to show that low levels of iodine cause infertility, but the study did indicate that low iodine levels do contribute to infertility and that women are encouraged to increase their iodine intake which may reduce the chances of infertility being an issue when they are trying to conceive. This fact may be alarming to women who do want to get pregnant, and the first thing that concerned women should do is to find out if they are iodine deficient. And even if their levels are satisfactory, they need to find a nutritionist who will help them find the foods that are rich in iodine that they can consume while trying to conceive, as well as taking a prenatal vitamin with at least 150mcg of iodine in it. What women can do is become creative with recipes that involve food that are rich in iodine, and vegan women must take vitamins that have 150mcg of iron if they insist on keeping up with their vegan lifestyles. There are plenty of recipes that can be found online that will help them ensure that they are getting enough of the mineral in their diets. This drink will also help boost your immune system and it tastes better than it sounds because of this combination. All you need is 1/2 bell pepper and 30 strawberries, and 1.5 tbsp. of agave syrup. Just wash the bell pepper and strawberries, and remove the stems, and seeds from bell pepper. Press the strawberries first, and then the bell pepper. Then add the agave syrup into freshly squeezed juice, then stir well and serve. There is a lot of iodine in this recipe and plenty of Vitamin C and calcium. What you will need is 1/2 of melon and 1/2 cup of milk. Take 1 banana and 3/4 cup of plain yogurt. First, peel the melon and remove the seeds, then peel the banana, and cut it up and mix it with the milk and yogurt. Press the melon, and then the banana mixture. Be sure to stir it well, and then serve. Not only is this mixture high in iodine, but has plenty of Vitamins C and B6. You will want to get 1 banana, 1/2 cup of blueberries, 1/2 cup of milk and 1/4 cup of plain yogurt. Be sure to wash the blueberries, and peel the banana and cut it into pieces. Mix the milk with the plain yogurt and banana together, and then press the mixture. Press the blueberries and then mix it well, and pour into a glass and serve. 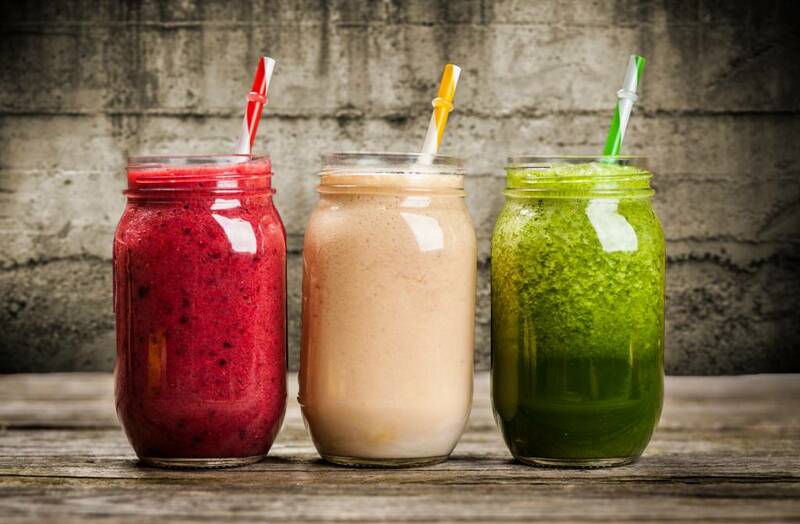 There are plenty more smoothies that can be made that are delicious, and rich in iodine among other important vitamins and minerals that you will need to not only sustain yourself properly but to get enough of the nutrient while trying to conceive and these smoothies would certainly fit in perfectly with the fertility diet. If smoothies are not your thing, you can find other ways to make sure you are consuming enough iodine and again the individual to consult in regards to this is a nutritionist who you will be able to give you tricks and tips to make sure that you are getting more than enough of the mineral.